This handmade plain fruit bowl is a straight sided modern style with a large engraving area. 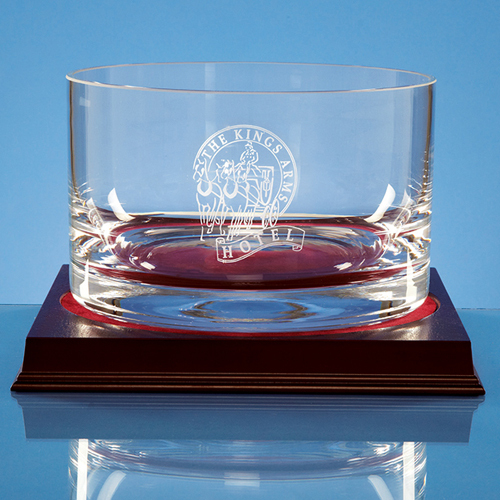 The bowl can be personalised with any crest logo, or wording to create a gift that will be treasured. The wood base compliments the bowl when it is on display. The base should be ordered separately if required.